I went to The Face Shop a couple days ago and got two bright colored eye shadows to ease myself in to Summer… and it was really cheap, about 3,500KRW a pop. This is a easy and fun look for anyone who wants to get out of the brown shadow, black liner, and mascara routine. The shades I’m going to be using are The Face Shop Single Shadow in pink shock PK02 and cover orange in OR04, both are matte. The gold I used is from Etude House Give Me Chocolate shadow duo #3 Cacao Fudge. 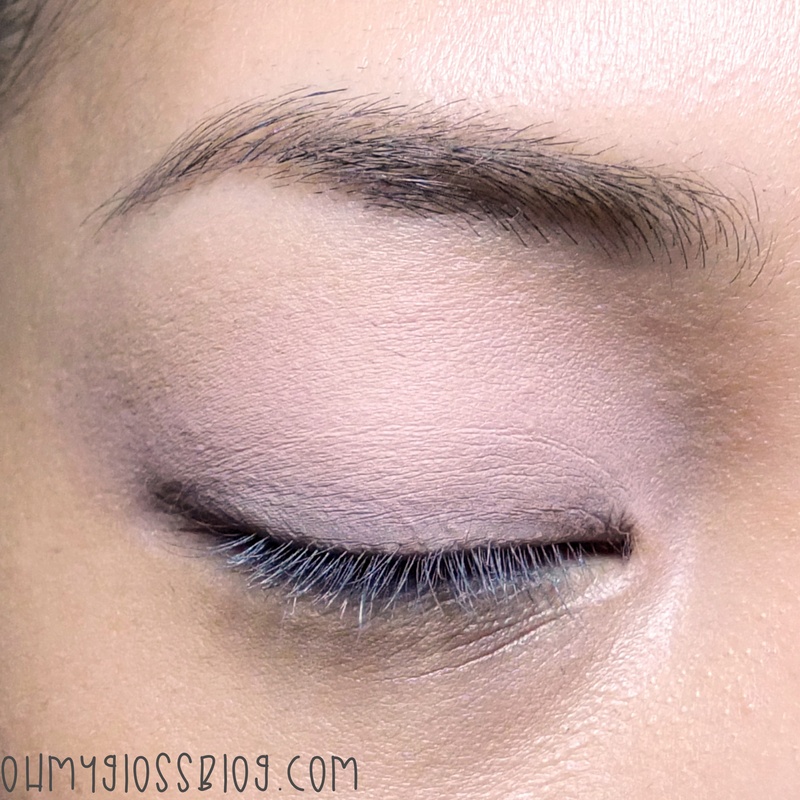 First, I prepped my eye with Missha Good-bye Crease Eye Makeup Primer in 02.Beige to make the colors show up more. Then to make the color pop a bit more and blend easier I dusted the entire lid with a white-cream shade. I used the highlight shade, White chocolate, from the Too Faced Chocolate Bar eye shadow palette. Now let’s add some color! Using a light milky pink shade, like strawberry bon bon also from the Chocolate Bar palette, place it on the lids a little past the crease. Next, I dusted the orange shade on the middle of my lids extending it outwards. I had to pile it on a little because the pigment wasn’t too strong. But considering the price it’s pretty good me thinks. Afterwards, I went in to the corner of my eyes with the sparkly gold shade slightly overlapping the orange color. Now take the pink color and in a window wiping motion get it into your crease. Again I had to dip into the pan several times for a stronger color pay off on the lids. Blend it upwards with the milky pink that was applied before. Line your eyes with liquid eyeliner to give it a clean look. You can wing it out or you don’t have to. I like to so I did and I also added some lash extensions. If you’re not a fan of false lashes then add some mascara on the top and bottom lashes and you’re done! Hope you had fun with this tutorial! Previous article My Summer 2015 Top 5 Wish list!